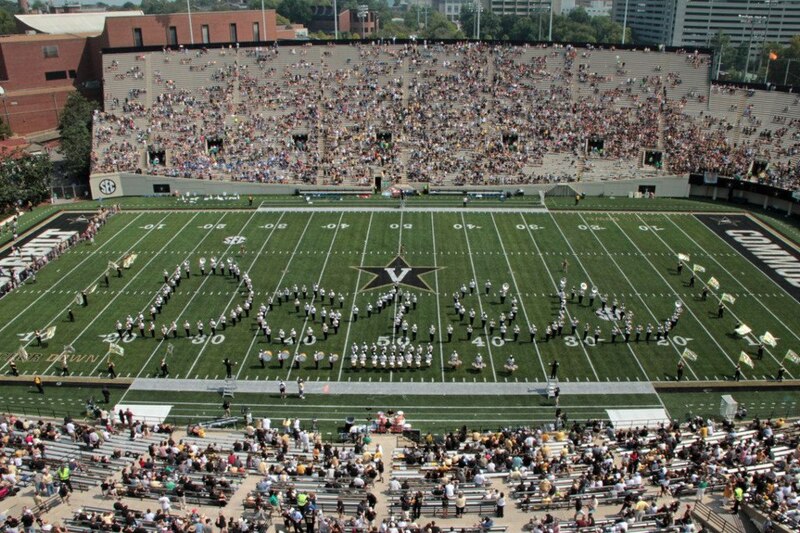 Vanderbilt University has sidelined the Spirit of Gold Marching Band at halftime of their homecoming game on October 22nd. In place of them the visiting band, Tennessee State University, will perform a 3 minute show as the school uses the rest of the available time for homecoming activities. To make matters worse the homecoming game is also band parent's weekend. Now hundreds of parents are being told that they'll only see their son or daughter march a pregame show. "I am shocked and appalled about this decision," said Heather Castagna, mother of feature twirler Haylee Castagna. "Her father, sister and I purchased plane tickets to fly from her hometown of Fort Worth, TX to come see the band perform. We are not wealthy by any stretch and get to see her perform when we can afford to do so. It is devastating to say the least." The decision by Vanderbilt University and the Vanderbilt Athletics Department to sideline their own band is the icing on the cake for a band that has gone through one of the worst years in recent history due to actions taken by the administration. On September 9th, Spirit of Gold Director Rob Bryant abruptly stepped down and left the university. He was the 3rd Director of Bands in less than two years after the retirement of Dr. Dwayne Sagen. Sagen's replacement Joseph Corey Francis left the university after an investigation into an inappropriate relationship with a high school student while teaching in Kentucky was brought forward. Students never really knew why Bryant left, but it has come to light that the stress he acquired as Director of Bands led to health issues. 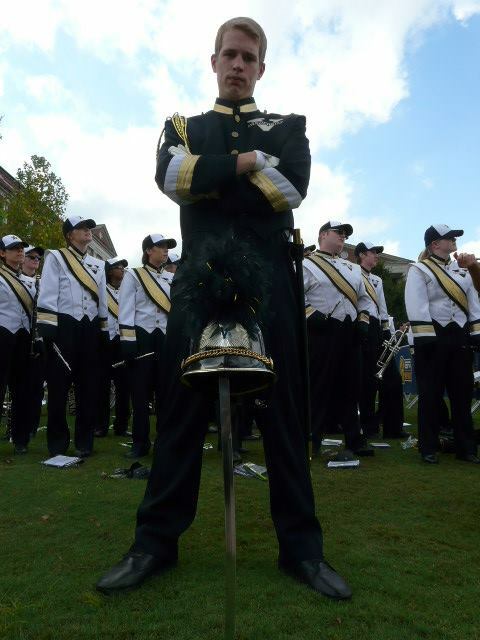 In a recent facebook post, Bryant explained that he resigned due to major issues between the administration and the band program. He explained that the major budget cuts to the band, cancelling the only away game trip for the band, failing to turn on stadium lights for rehearsals, no funding to buy or arrange new music for halftime shows, efforts to cut the staff and trim salaries, etc. were all things he had to deal with during his short tenure which ultimately led to his resignation. "Our athletic department has frequently mismanaged our band," said Erin Elglass, senior member of the Spirit of Gold and third year Drum Major. "We've had to battle to replace uniforms that were older than our freshmen and had an outdated school logo on them. We've had all opportunities for travel during football season taken away from us." "We're being forced to play on instruments that are barely functional; not a single school owned trumpet has three working valves, and the sousaphones are held together by duct tape and shoe strings because they keep coming un-soldered." Vanderbilt Athletic Director, David Williams, tried to explain the situation to band alumni saying that the time allotted at halftime was very short and that Vanderbilt had decided that they wanted TSU to perform at halftime to honor the passing of TSU's track coach Ed Temple. There's only one issue with this explanation from Williams and that is that the decision to have TSU march instead of the Spirit of Gold was made back in August before Ed Temple even passed away. As for the October 22nd game the band is still trying to figure out how they are going to move forward knowing that at one of the biggest games of the year for both members and fans, they will not take the field at halftime. Rather than voting on a homecoming King and Queen, Vanderbilt has an annual contest to name one student the "Most Outstanding Senior." Organizations nominate seniors, they competitively apply, and then the student body votes on the top 10. At halftime, the band gets to play a show for 3.5 minutes, and then plays background music for the presentation of the 10 finalists and naming of the winner. Afterwards, they bring out alumni organizations to make a presentation about the money they have raised for the university. The 3ish minutes that the band typical gets will go to Tennessee State which finds itself caught in the middle of the firestorm. Many members, parents and alumni are extremely supportive of TSU playing and want them to play as they are making the trek from their school and deserve to show the Vanderbilt fans what they can do. However, some fans are saying that TSU should forfeit their time so that the Spirit of Gold can play instead. Unfortunately, if TSU were to forfeit their time at halftime to Vanderbilt they would not perform at all except maybe at post game. Athletics has been limiting the Spirit of Gold's halftime shows to only around 7 minutes. They use the rest of the time to honor sponsor-ships and sell air time. At schools like Jacksonville State and Ohio State, where the band has a great relationship with Athletics, the bands are given upwards of 12 minutes for their halftime show. Vanderbilt needs to find a way to right the ship between the Athletics program and the Spirit of Gold or else there might not be much of a band come next year as students are already thinking of quitting mid-year due to the terrible conditions they are forced to deal with. "We traditionally bring our band parents down to the field during our show on parent's weekend. Our director told me that he mentioned to athletics that if we were forced to only perform pregame, he'd have them form a block V with us, only to be told that that wouldn't be possible because athletics was going to put potential recruits in it," Elglass told us. "So our parents would essentially be bumped in favor of potential football recruits in addition to not getting to see the halftime show they were initially promised." The situation could easily be resolved if the university would move the traditional homecoming activities to the timeouts inbetween the quarters or wait to announce "the most outstanding senior" at the end of the game. Maybe even do it Friday before the game? An update on the situation is expected to be announced tonight. Some students told us that if the update doesn't allow for them to march at halftime they may rally the members to boycott the game. A change.org petition was started by the band to have the school reverse the decision to not let them march at halftime. In less than 48 hours the petition has gained over 3,000 signatures.